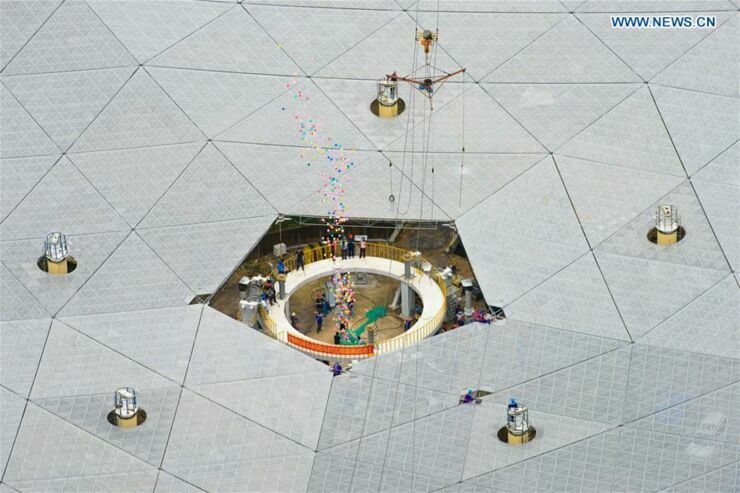 It's taken five years but China has finally completed work on what is now the world's largest radio telescope. 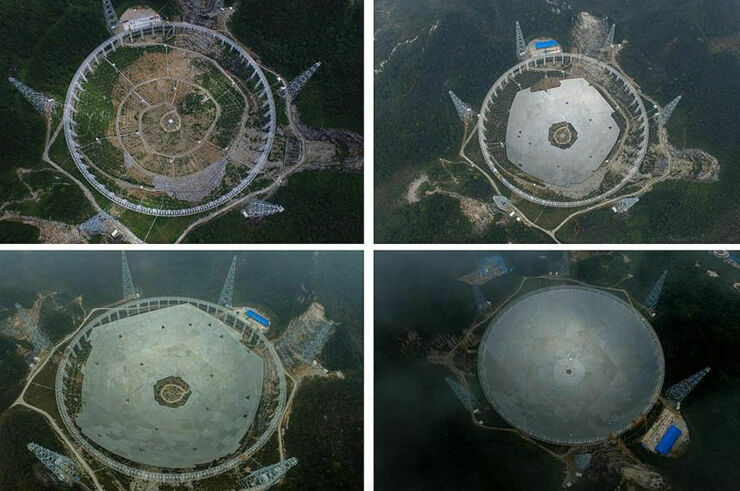 The telescope was built in Pingtang County and measures 500 meters from side to side. 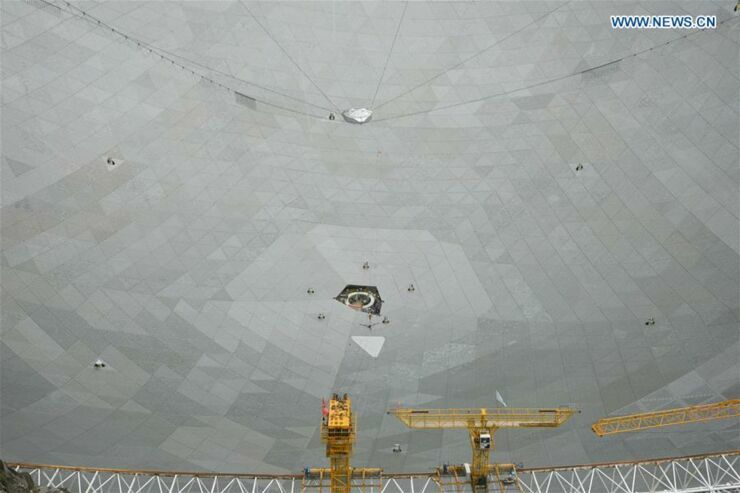 The Five-hundred-meter Aperture Spherical Telescope (FAST) cost $180m to build and consists of 4,450 reflector panels totalling the size of 30 football fields. 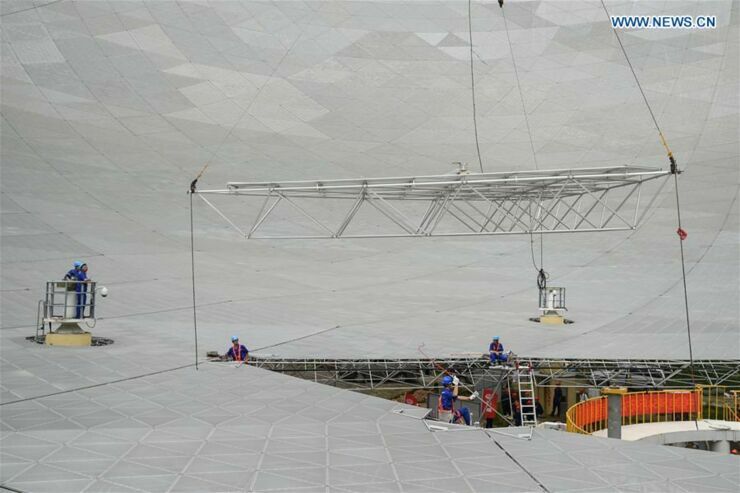 Although the last pieces were put into place on Sunday it won't be operational until September. 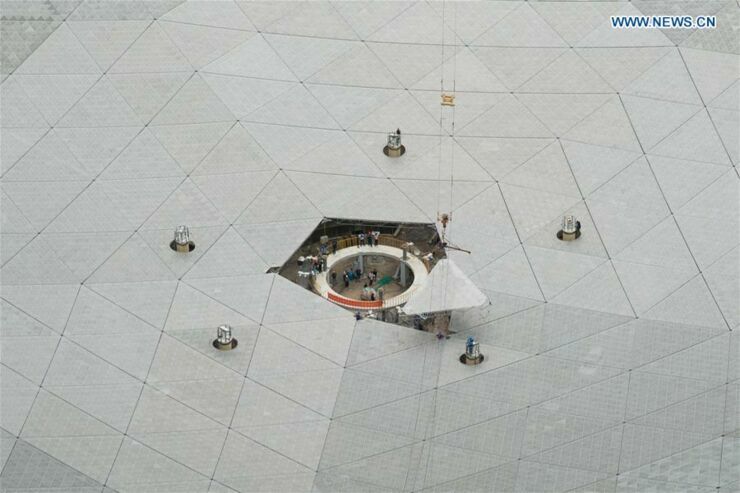 But when it is it will be used to search for signs of extraterrestrial life like amino acids and alien radio signals from as far as 1,000 light years away. It will also look for clues to help understand the origin of the universe like pulsars and gravitational waves. 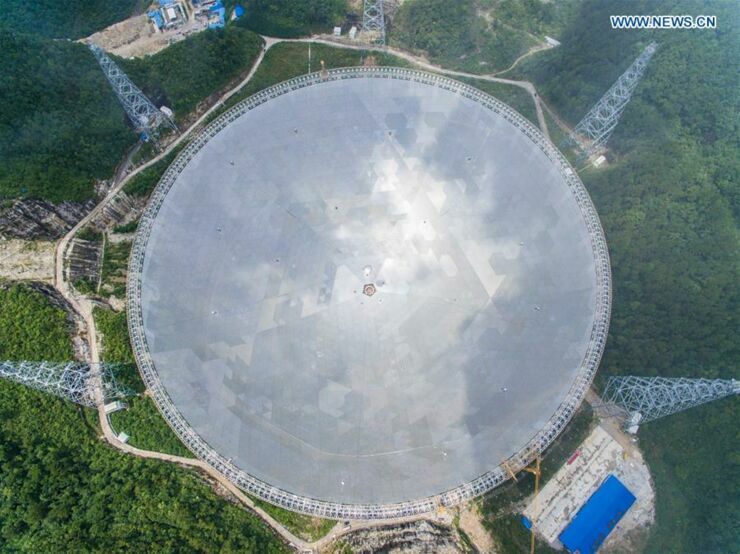 "The telescope is of great significance for humans to explore the universe and extraterrestrial civilizations," Liu Cixin, a Hugo Award-winning science fiction writer who was at the site for its completion, told Xinhua News. "I hope scientists can make epoch-making discoveries." 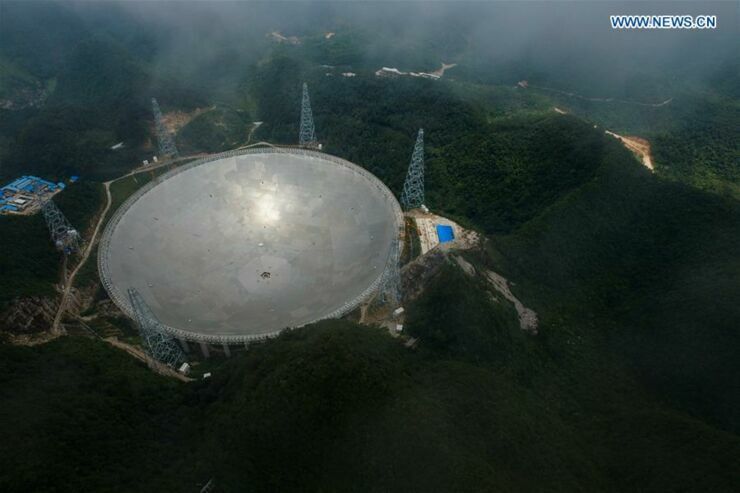 The telescope is a lot bigger than Puerto Rico's Arecibo Observatory which was until recently the world’s largest telescope and measured around 300m across. There is a downside though and that's if you live within a 3 mile radius of FAST. 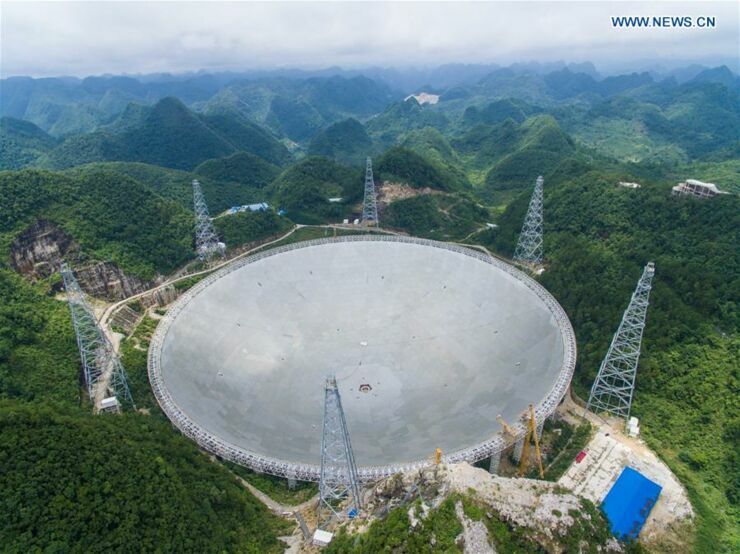 The telescope has caused the resettlement of more than 9,000 people who have to be moved elsewhere to ensure complete radio silence when FAST is fully operational. Let&apos;s Say We Discover Aliens, What Next And How Do We Make First Contact?